I'm not overly fond of what follows. 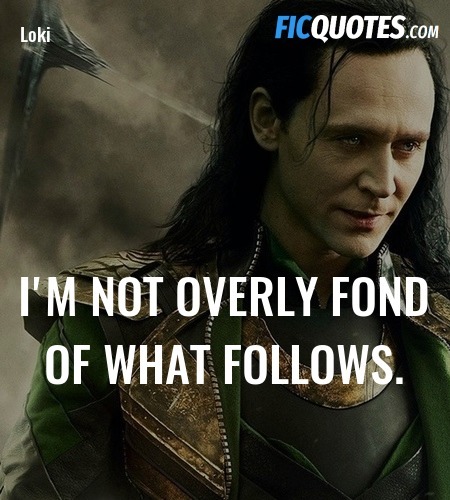 Loki - "I'm not overly fond of what follows." Shakespeare in The Park? Doth mother know you weareth her drapes? Steve Rogers: Is everything a joke to you? Tony Stark: Funny things are.